It is really important that your hiking boots fit well, as you will be wearing them every day on a multi-day walk. In this article, Georgie Bull continues her ‘boot’ series, designed to help you choose the best hiking boots to suit your feet. Three things can help you choose boots that are the best possible fit to your foot. Get to know your feet and gait. Before you even think about boots, it is important to get to know your feet and gait. Your feet and ankles basically do three things when you walk – they absorb shock each time your heel hits the ground, they keep the rest of your body stable as it changes position, and they propel you forward or backward. They do this every stride you take, so it is important to consider their welfare and well-being. Part of our natural foot function is to either pronate – roll in, or supinate – roll out, when we stand and walk. Take note of how much you do this, as excessive roll can lead to knee or lower back pain on long walks. Once you are on intimate terms with your feet, you need to have them properly fitted. I have very wide feet and my ankles pronate, but I keep that to myself, and look for a boot fitter who notices. 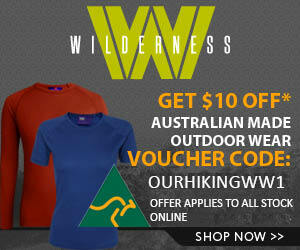 I recently visited 4 well-known outdoor stores before my width and pronation were picked up. The salesman, aka Frosty, told me I should always look for a men’s fitting with a wide shoe ‘box’, an articulated ankle system for flexible ankle support, a well-cushioned, flexible last for good arch support, and shock-absorbing outer sole that wouldn’t impede motion but reduce the impact of my pronation on my knees and hips. Phew! And then he said he had ‘just the boot’. Get your feet measured for length and width. Then think about how much fuller your feet feel after you have used them for a few hours, when they are warm and pumped full blood. Remember that feeling and allow for it when you buy your boots. I wear European size 40 in normal shoes, but Frosty recommended I buy size 42, and I am very glad he did. The extra length stops my toes jamming into the front of the boots when going downhill, but is not enough to trip me up. Many people sell their ‘only worn once’ boots on the internet because they bought their regular size. And we have all met walkers hobbling along on sore, painfully blistered or numb feet squeezed into too small boots. If boots are recommended, try them on with the thickness of socks you normally wear hiking, and do some pirouettes around the shop on your tip toes. they should feel comfortable and snug. your heels should feel firmly held and your arch supported. your toes won’t scrunch into the front of the boot. your foot won’t slide around as you walk and dance, or be pushing out over the edge. If you have time, take them off and try them on another day – especially a day when your feet are nice and hot. These three points should have you well on your way to choosing the right size boots that suit the way you walk and are a good fit. Next we look at what boots for what jobs. Have you ever bought the wrong fitting boots? Have you sold boots on eBay after one or two trips? Have you ever bought second hand boots? How were they? We would love to read your feedback, please leave us a comment below. I took my boots down to the cobblers, and he fixed up all the splits, replaced the bottom fabric eyelet-thing, new laces and it cost me $30. There good as new, and they are worn in and fit my feet perfectly!! There’s alot to be said about giving your old boots a birthday! Yeah, I also got the padding fixed around the top edge where my socks went, and down near my ankle where the bone pops out. That was the only places of wear. I really do hope that the next walk I go on (Howitt trip over easter), that my boots don’t meet the same fate! Howitt sounds a great trip, Alex. 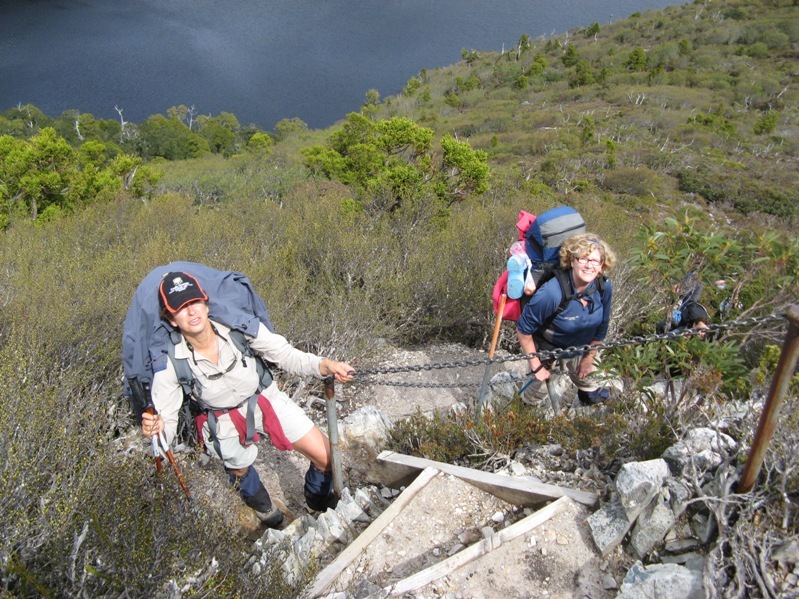 Have you checked out this OzHiking travelogue of the walk from Mt Howitt to Mt Speculation – http://ozhiking.wordpress.com/2011/02/18/mt-speculation-the-crosscut-saw/. A good read, and fabulous photos. I’m with you Alex. Having done all the right preparations for my biggest hike to date (The OT, as it happens! ), my trusty. long term, never-given-me-a-blister yet boots (Couldn’t even tell you a brand although they weren’t expensive) had a blowout about a month out from the trip. I panicked but a trip to the cobbler had them stitched up and I didn’t have to risk breaking in a new pair so close to the big day. They didn’t miss a beat the whole way. Great article. I run walking holidays and blisters caused by unfitting boots can totally spoil a holiday. 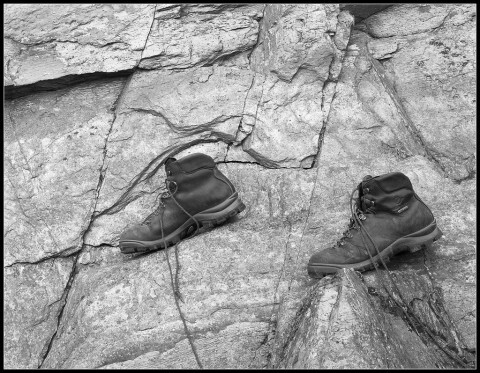 If you’re doing a long hike or a trip overseas buy your boots with plenty of time to spare and try them out on a few short hikes first. Half way up a big peak on thefirst day of your holiday is not the time to discover that the boots that felt great in the shop don’t feel so good on the trail. Another mistake that people make is changing from the thick socks they use in the UK to a thin pair of socks for hiking in hot weather. Sometimes this small change can be enough to alter the boots fit and cause blisters. Try your boots with a thin pair of socks first or put the thick ones in your pack in case of problems. I have to say we’re spoilt these days with modern fabric boots. It’s a lot easier to get a better fit and the boots take a lot less breaking in than before. Remember though boots are very individual. People ask me which boots I recommend but the answer is the pair that suits you – everybodies feet are different. I read this article with interest because I have terrible trouble with blisters on my heals. I spent a lot of money on a good brand of hiking boot and during the western arthurs walk i ended up with severely blistered feet. I would do anything to find a boot that doesn’t give me blisters but can’t keep buying a different pair in the hope that they are the “ones” that work for me. My only solution (sometimes) at this stage is using a trail runner rather than a hiking boot. But they aren’t much good at keeping the water and mud out! Sorry about your feet! I have similar problems and now use a mix of “walking shoes” and Keens midweight boots depending on where I am going. This is an article I wrote about them. http://ourhikingblog.com.au/2011/04/review-targhee-mid-ii-keen-boot.html Still get sore feet. I have given up worrying about getting wet feet. I just expect them to get wet and there are no surprises! Good luck, keep us informaed about how you go. Thanks for that info, I might go and try a pair on at Rays. I have just completed the Overland Track for the 3rd time and it is the first time that I can remember when I didn’t get any blisters!!!!! I read your review on the Targee ii Keens, went and tried them on and they felt great so I took the plunge and purchased a pair. I wore them everyday for 6 weeks before the walk and I was wonderfully surprised that I didn’t get the blisters. So thanks for the advice. Another trick I tried was to use sheep wool between my socks and the usual place I get blisters on my heals. My wife has a cousin who runs a sheep a farm so I was able to get wool from him. So with the combination of the new boots and the wool I found the solution for beating the blisters! I’m on my third pair of expensive Italian boots. They’ve all given me problems on longer walks – you’d think I’d learn! Great tips here. Thanks. I’ll try to make a better decision with the next pair. Sometimes the $$ are not important it is the fit. I am up to about my fifth pair in many years and went for a second pair of keens.